Our telephone lines are mostly busy during these times 8am – 11am & 3pm – 6pm and you may experience long waiting times! BE PART OF IMPROVING YOUR SURGERY, JOIN OUR PATIENT GROUP! Help us identify areas that need improvement. Help us enhance the services we already offer. Please let the reception team know if you would like to be part of our patient group and we will be in touch. In order to register for online services, we need to verify your identity (photographic ID is required) can you please attend the surgery between 9am – 8pm (except between 12.30pm – 1.30pm) and advise the reception staff you are attending to register yourself for online services. You will be provided with your log on details immediately. If you are already registered for online access services, please click on the link below. NB: These services are only available to those patients who have registered for the service. 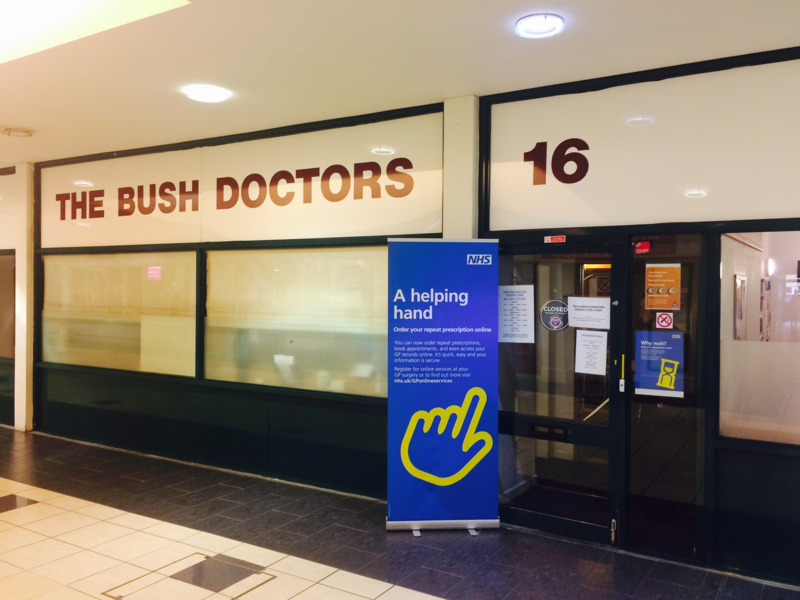 The Bush Doctors mission statement " Our mission is to provide safe and high quality health care accessible to all, appropriate to the needs of our population, promoting good health within a supportive and caring environment."